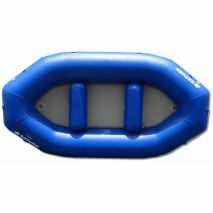 Inflatable Rafts 50% OFF. 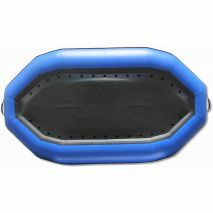 Commercial Grade Heavy-Duty inflatable rafts on Sale. Best Whitewater River Rafts at deep discount! 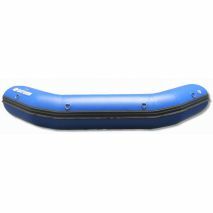 We offer Saturn 10' and 12' inflatable rafts, as well as premium 13' Azzurro Mare class IV ready whitewater river rafts, also made by Saturn. Saturn line of inflatable rafts are ready for all occasions, from whitewater rafting, to back country fishing and weekend exploration. 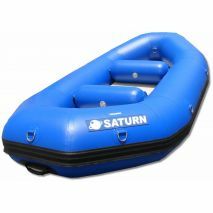 Saturn inflatable rafts are lightweight, and will fly down rivers and rapids agilely, unless you prefer more tranquil waters. In that case, Saturn rafts will provide you with a smooth, relaxing rowing experience across any lake or river you wish to explore with optional raft rowing frame. 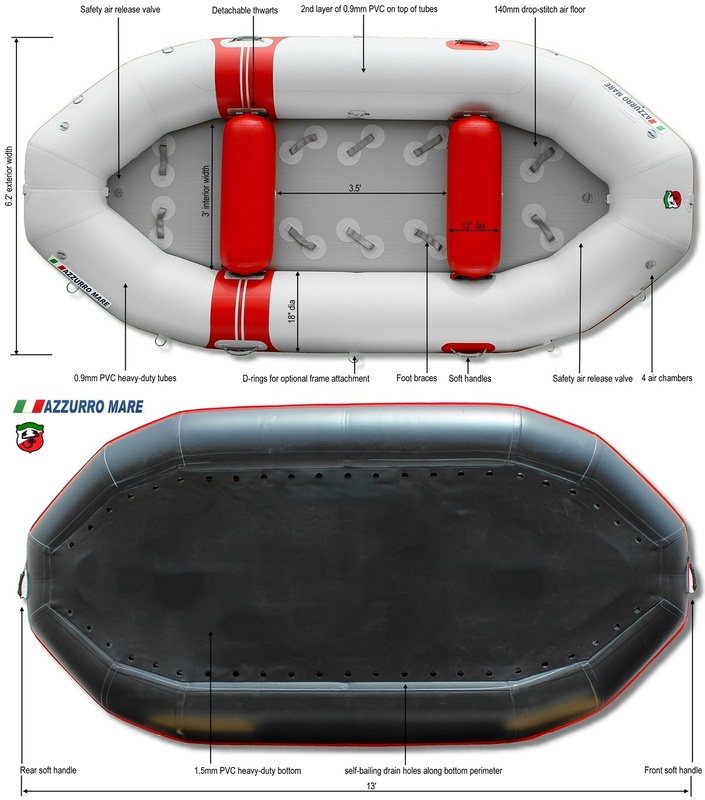 All of the inflatable rafts from Saturn and Azzurro Mare are made of heavy duty 1100 deniers PVC fabric, which is commercial grade, and constructed with the highest quality of workmanship. All this at an affordable, inexpensive price point. We strive to offer all the pleasures of whitewater river rafting with none of the hassles. If you live close to the lake or river or ever wanted to go rafting, fishing or exploration than you should consider Saturn inflatable rafts. Saturn inflatable rafts take up as much space as a medium size bag when deflated, and can be stored almost anywhere, such as a car trunk, closet, or even an empty corner of your apartment. But when inflated, with a hand or electric pump, in a matter of minutes, an inflatable rafts can take you or your whole family for a day of fishing, fun and exploration at exhilarating speeds. Saturn inflatable rafts provide smooth and easy rowing across that lake or river you always wanted to go to explore. And best of all, when you're done, just let air out and roll everything back into the bag, till next time. So, if you've ever dreamed to go rafting, we have an inflatable adventure waiting for you! Saturn inflatable rafts are not toys. These are heavy-duty, commercial grade, exceptional quality and workmanship water crafts that are portable when deflated and total fun when blown up with air! Totally rigid, you can hit them with a hummer and nothing happens! 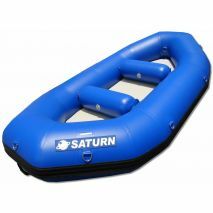 And best of all, Saturn inflatable rafts are not expensive, not at all, so you can go rafting, without stretching your budget!